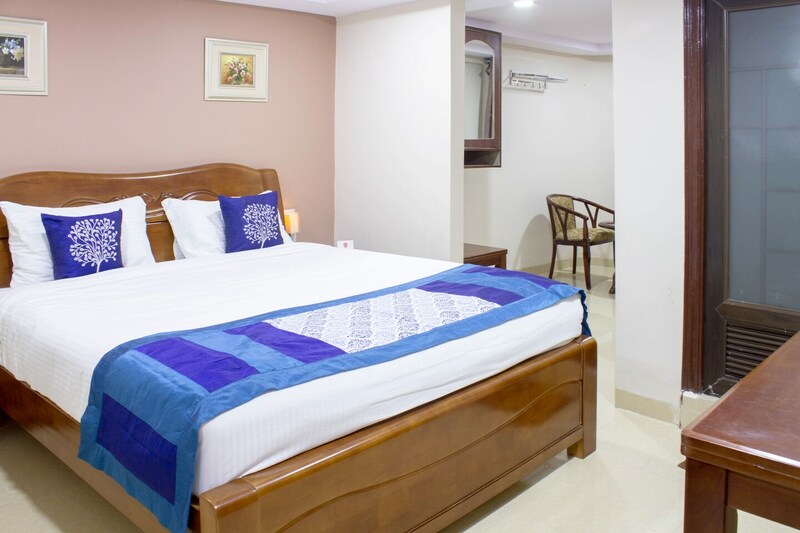 Padmini Hotel on S D Road, near Clock Tower in Hyderabad is a well-furnished and trendy looking property. It is close to YMCA Bus Stop, Secunderabad Junction Railway Station, Begumpet Airport and Tarnaka Metro Station. Parade Ground, Sanjeevaiah Park, and ISKCON temple are close by. The hotel has an aesthetic restaurant done up in warm tones and a bright banquet hall. The rooms boast of vibrant bed linen and elegant wooden furniture. While AC and TV are provided in all rooms, the bathrooms are fitted with geysers. The hotel offers free internet, parking, CCTV protection, and power backup as well. There is an elevator on the premises and laundry services are offered. The hotel accepts card payments. Eateries in the close proximity of the hotel include Spice Garden - Royal Reve Hotel, Ohri's Mehfill - Hotel Baseraa, Lazeez Multicuisine Restaurant and Mamaji Ka Dhaba.